Charles River has an understanding of the local market through employees in the region and develops the product in line with local client requirements. 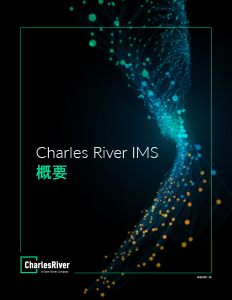 Since 2004, Charles River has continued to support and develop Japanese-specific workflows and functionality in Charles River IMS including language support through local characterization. We understand Japan’s distinct legal and compliance regulations and supply comprehensive, distinct regulatory and standard rule libraries, including the Investment Trust Association (ITA) for Japan. Charles River provides Japanese clients with consulting, implementation and support activities delivered by multi-lingual Japanese national Charles River employees. 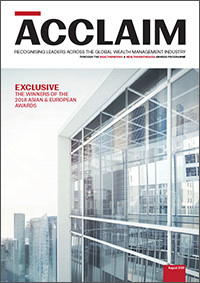 Japanese regulatory compliance rules and guideline monitoring, including derivative exposure limits, allowable investments and company exposure limits. Japan’s stringent trading workflow requirements such as comprehensive cross-trade-checking, high volume bulk multi-order placement workflows, limit price and round lot checks, and stringent blocking restrictions. Stringent testing and certification ensures seamless integration between Charles River IMS and third-party providers. Charles River has the experience and capabilities in integrating with domestic Japanese Back Office platforms, data warehouses and domestic real time market data providers. Through the Charles River Network, Buy-side clients can seamlessly connect in real-time to both domestic and international brokers and liquidity destinations. Charles River Network is a point-to-point network supporting a comprehensive list of Algorithmic brokers, DMA, high-touch orders, crossing networks, ECNs, ATS and liquidity pools. Japan User Groups and Advisory Committees – Held in Tokyo, executives from Charles River’s domestic and foreign Japanese client base meet regularly to discuss business issues and provide feedback on the development of Charles River’s products and services. Annual Asia Pacific Client Conference – During this two-day event, clients join experts and peers to explore our products and discuss leading trends, regulations and business issues facing the Asia Pacific region through workshops, presentations and demonstrations. Charles River’s dedicated Tokyo-based team of Japanese-language support staff provides our Japanese clients with timely and accurate resolution of any service requests they may have. For support requests outside these times, Charles River offers 24/7 “follow the sun” technical and product support through our support teams around the globe.